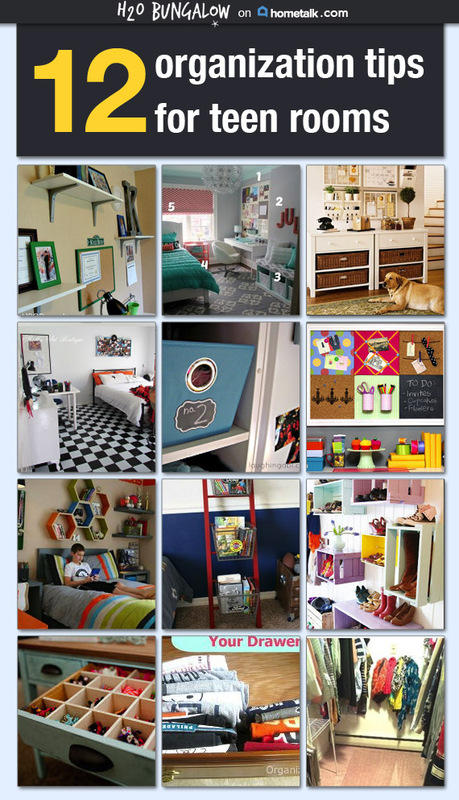 When Hometalk contacted me to curate a board on smart tips for organizing teen rooms I jumped all over it! Nope, I don’t have teens or even tweens anymore. 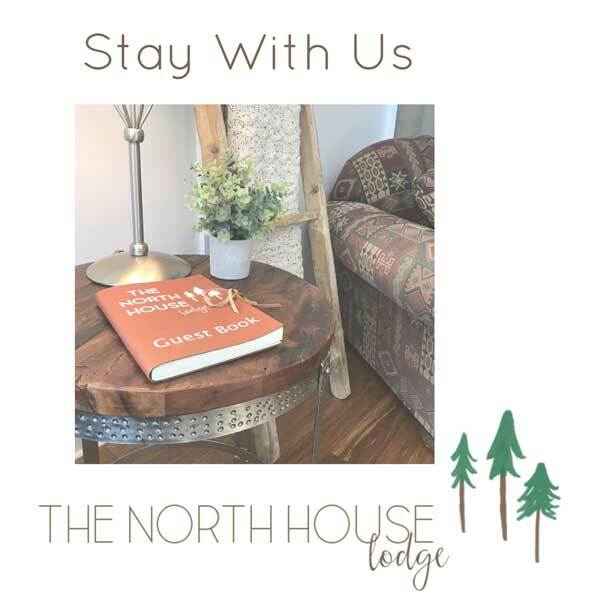 But, I have lots of experience having raised two girls and a boy and two recent tween bedroom makeovers that were all about keeping my nephews organized with budget friendly and practical ideas. 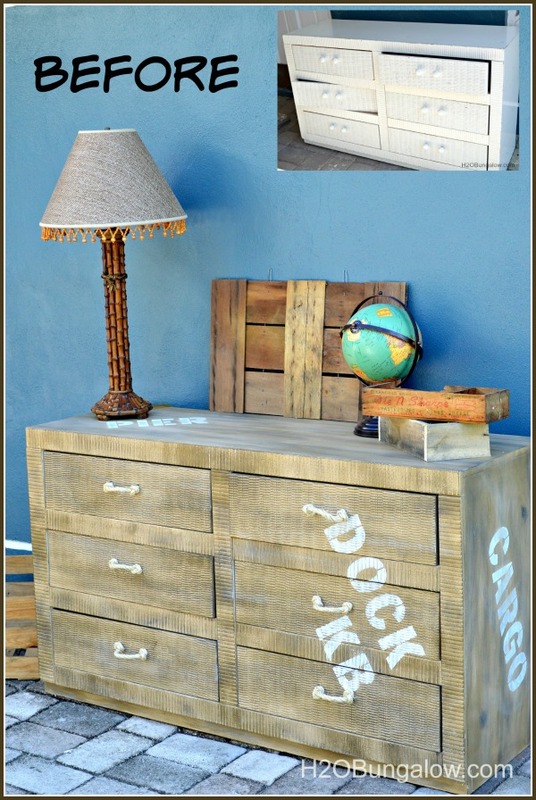 I shared my Faux Painted Cargo Furniture project for my nephew a few months ago. My IOU for his room makeover came about because I’d done a makeover on his brother’s room the summer before. My goal for both teen room makeovers was to create a room that was not only cool (I can’t say pretty for boys can I?) 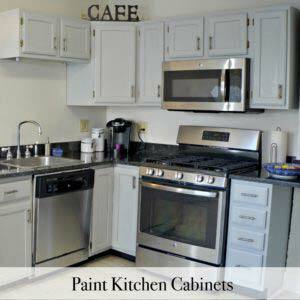 but, helped them stay organized with less clutter. 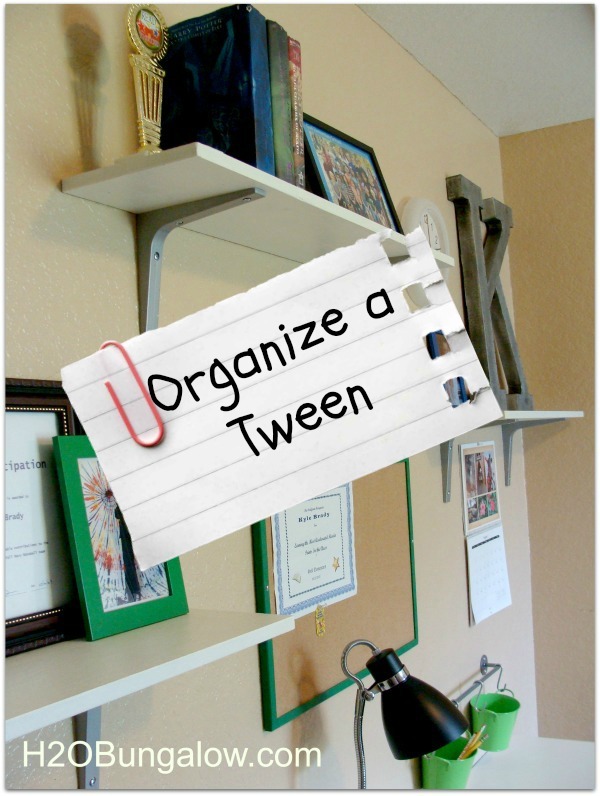 How to Organize a Tween and Get Rid of Clutter was the project I shared first. My thought was that if I give him a place to stash all the wonderful trinkets and personal memorabilia a preteen collects, he could keep his room in order. Or, at least in some sense of order. 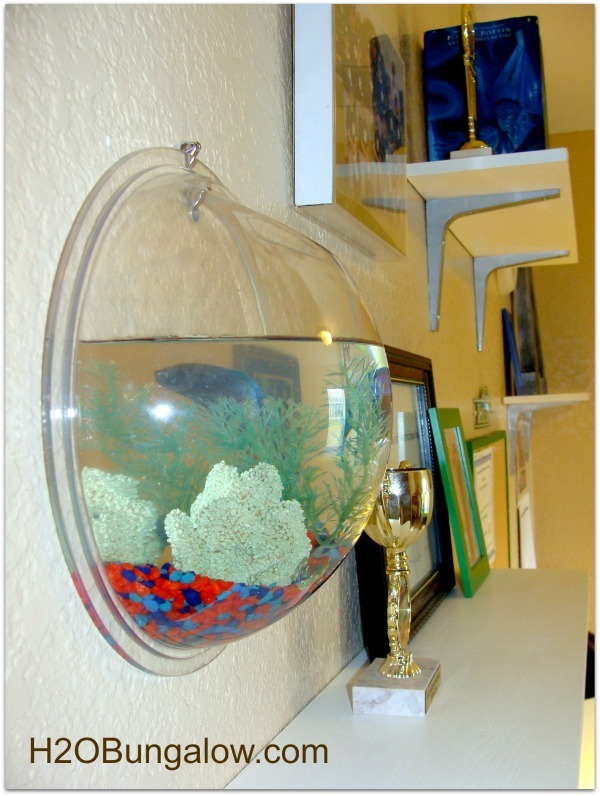 I meant a place for everything, right down to the fish tank on the wall! It’s worked well so far! I’m happy to announce, while not perfect, it was a huge improvement. Seriously, they are teens right? We have to be reasonable about our expectations beyond good grades. 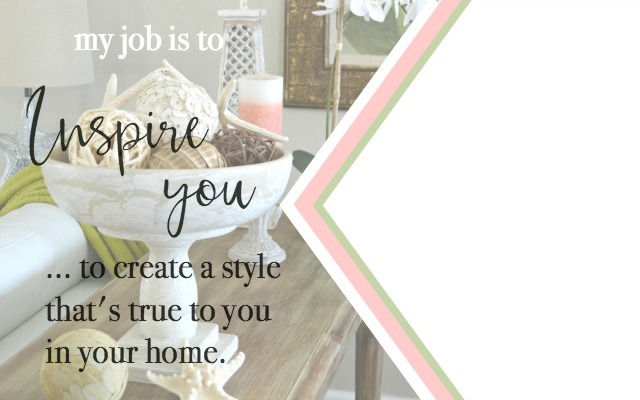 I found several really good tween and teen organization posts on Hometalk and curated my 12 smart tips for organizing teen rooms in an online board. I wish I’d had a resource like this when my kids were tweens and teens! 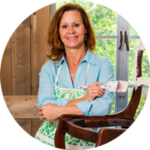 Take a look at a few of the fantastic ideas I’ve included on my curated Hometalk board! Is this Pottery Barn inspired board by Jonathan Fong just too cute! I’d like one for myself! 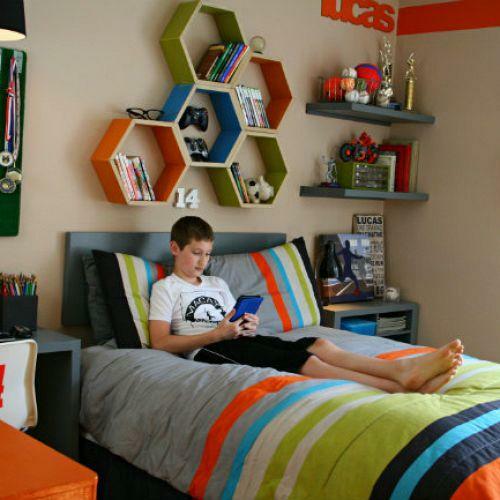 How about finding a way to add plenty of seating to a teen room and incorporate extra storage by Infarrantly Creative. She made this room colorful, creative and fun. Such a big motivator for keeping a room clean! Decorating a boys room with organization in mind can be challenging. But it wasn’t for Today’s Creative Blog! Look at the wall storage … LOVE! 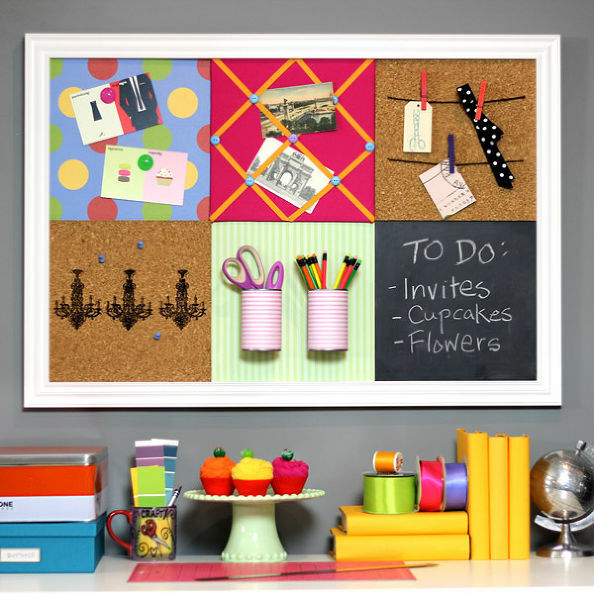 There are so many more smart tips for organizing teen rooms on this board! 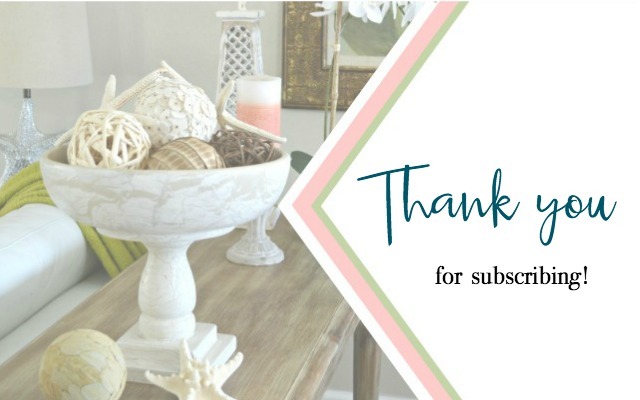 Decorating, wall storage, closet tips and a few strategies for keeping drawers organized are some of the practical and budget friendly articles I found and included. 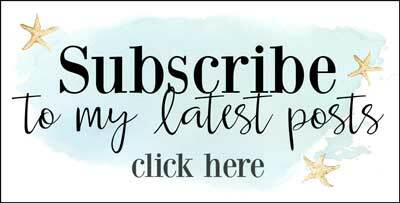 I love a few of these ideas so much for keeping organized, I’m going to use them in my house … sans kids! In our house, any order is welcome order! 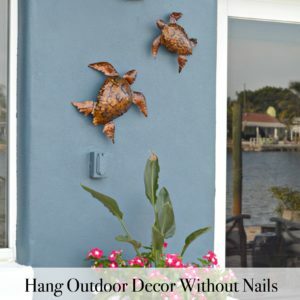 If you’re not familiar with Hometalk it’s a home and garden hub, a social networking site focused on home improvement, gardening and DIY projects. 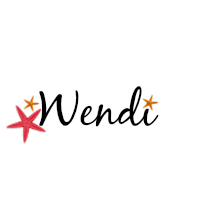 With both expert and amateur users, the Hometalk network aims to create an online community where people share ideas, advice and experiences from personal home-related endeavors. Congrats on the Hometalk Board! Heading over there to see it now. Thanks Marie! Wish I had all of these great resources when my kids were little! I bet you do too! !